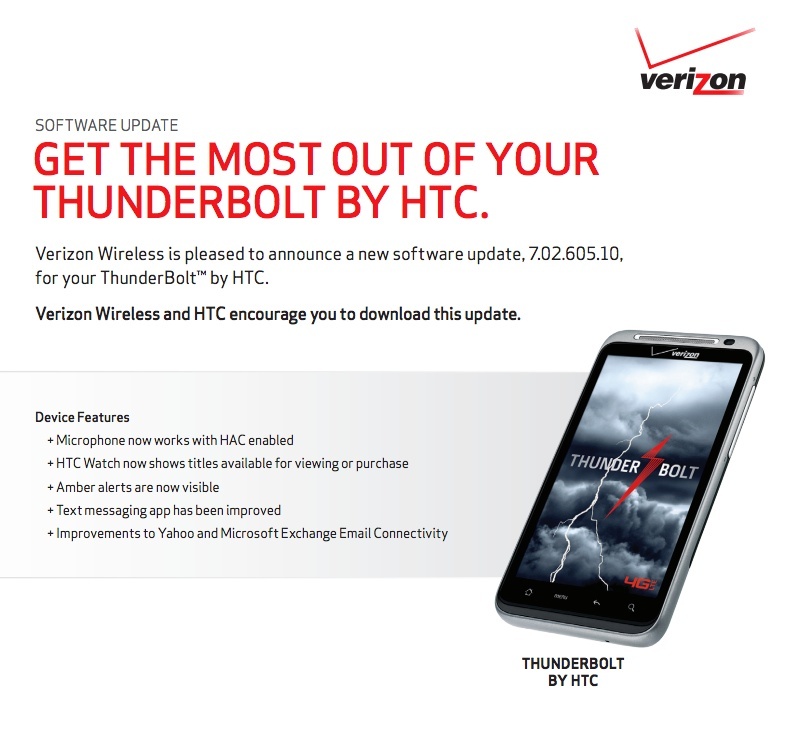 Verizon approved a new update for the HTC Thunderbolt this morning, one that will bring the phone up to build 7.02.605.10. It’s minor and includes small improvements to a handful of features, like the microphone, HTC Watch, text messaging, and Yahoo/Microsoft Exchange connectivity. Yep, that’s it. The update is 19.3MB in size. On a related note, while I have Thunderbolt owners’ attention, how is the phone performing after the Ice Cream Sandwich update? My brother has a T-Bolt and I noticed him using it this weekend – holy s**t was his phone ridiculously slow and laggy. Is it like that for all of you? Would the phone have been better off without this update?